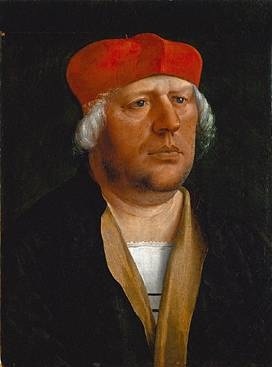 Leupold Scharnschlager (Leupold der Seifensieder) died 1563, an Anabaptist elder who belonged to the Brotherhood of Marpeck, a native of Tyrol, Austria, where he owned an estate at Hopfgarten near Kitzbühel. His wife Anna probably belonged to a prominent family. Her father, Konrad Honigler, stemmed from Hall on the Inn in Tyrol, her mother Margaret Rieper, from Gossenass at the southern foot of the Brenner. A brother of her mother, Dr. Johannes Rieper, was the deacon and cathedral provost in Brixen, and there were other clergymen in her relationship. Her sister Veronica was married to Hans Steger, a judge and later clerk in Kitzbühel, Anna’s first husband was Gallus Steger, the brother of this judge, upon whose death she married Scharnschlager. One daughter, Ursula, is mentioned, born about 1510; it is not known whether of the first or second marriage.